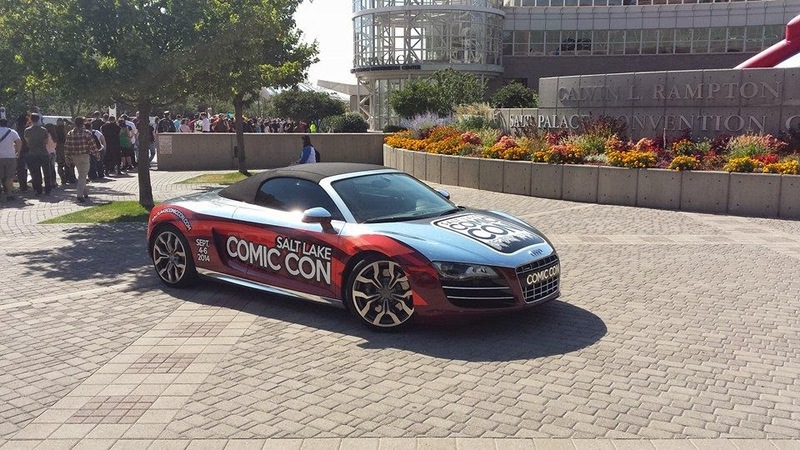 Last weekend marked the second annual Salt Lake Comic Con. Attending a comic con has long been on my bucket list, and geographic distance from any has kept me from attending in the past. 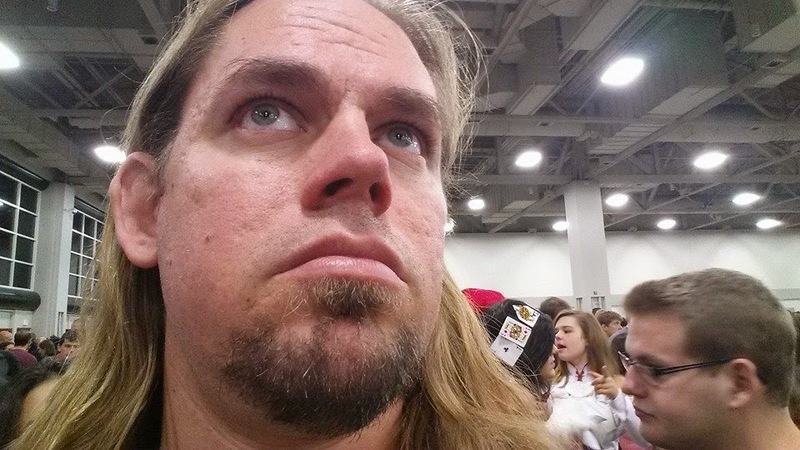 I was excited to be able to attend the inaugural Salt Lake Comic Con last year, and had an awesome experience. I had such a great experience at the first comic con, that when the Fan Experience was announced for spring of this year, I jumped at the chance to get a pass for all three days. And I had just as much fun with FanX as Comic Con. 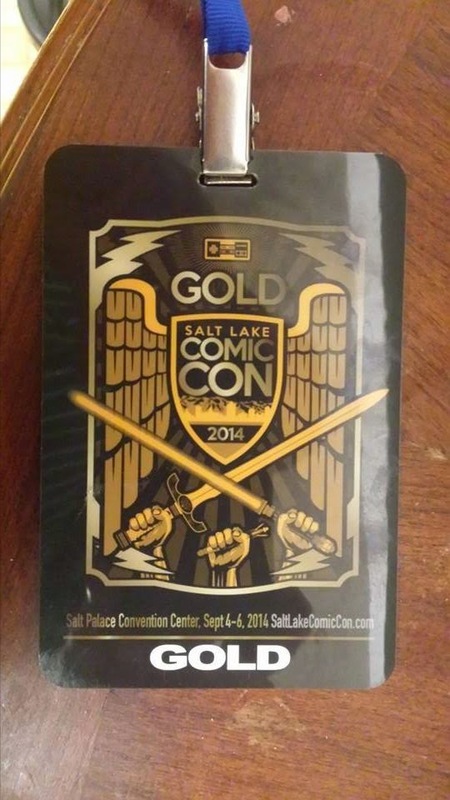 I just as quickly jumped at getting tickets for Comic Con this year, even opting for the newly created Gold Pass. There were several celebrity guests I was excited to see, and several panels that I was looking forward to attending. However, unlike the last two times I have attended, this year I experienced some major frustrations with how Comic Con was organized. My first frustration was with the regisration process. For those that bought their tickets ahead of time, there were two options for registering. The first was to pre-register by picking up wristbands at one of four designated sites during set hours the three days prior to the start of Comic Con. The second was to pick up your wristbands when you showed up to attend the convention. Having had a quick, easy and smooth experience with registration my two previous times attending, I was not anticipating any major problems this year. When I first arrived on Thursday, I found a line winding around the building, and no volunteers in sight. In addition, nobody in line seemed to know if they were in the right place either. But sinceI knew I needed to pick up my wristband before entering the convention, I went to the end of the line, which was about three blocks back from the entrance for the convention. About a block away from the entrance, there were finally some volunteers directing people to separate lines, one for general admission and the other for Gold and VIP Passes. It took nearly an hour from the time I arrived at the building before I got into the building. Up to that point, I was still being patient, realizing that even though I wasn't expecting the wait, that higher attendance numbers were expected this year. Upon entering the building, there was a long, slow moving line serpentining through the interior entrance to the Expo Hall. From the time I arrived at the building to the time I was actually able to enter the convention, I waited three hours and forty minutes. By the time I got in, I was feeling annoyed at the long wait and exhausted from being on my feet for so long. The program I received at registration gave the names and descriptions of the panels, but had no schedule of when or where the panels were at. 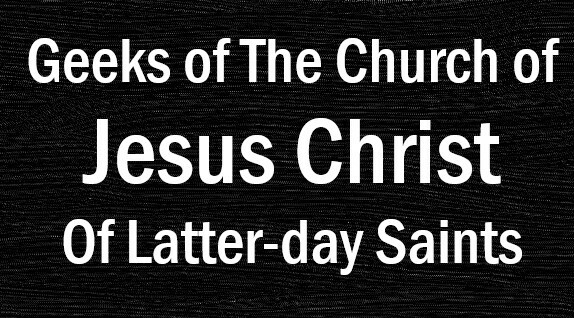 By the time I realized that the only easy way to check was using the Salt Lake Comic Con app, my phone was nearly dead. And I would not have been able to attend much anyway, as by the time I was able to enter the convention, there were only two panels left. I was fortunate to be able to meet with a couple of friends, so it didn't feel like a total waste. But if I had known that it was going to take so long to get in, I would have just waited until the next day to go. Numerous others had negative experiences with the registration line on Thursday as well. Two of my brothers, who arrived a little later than me, were only able to pick up their wristbands before turning around and going home, as the Expo Hall was closing by this time. There was a family (including a toddler) in line in front of me that left in frustration after waiting in line for over two hours. 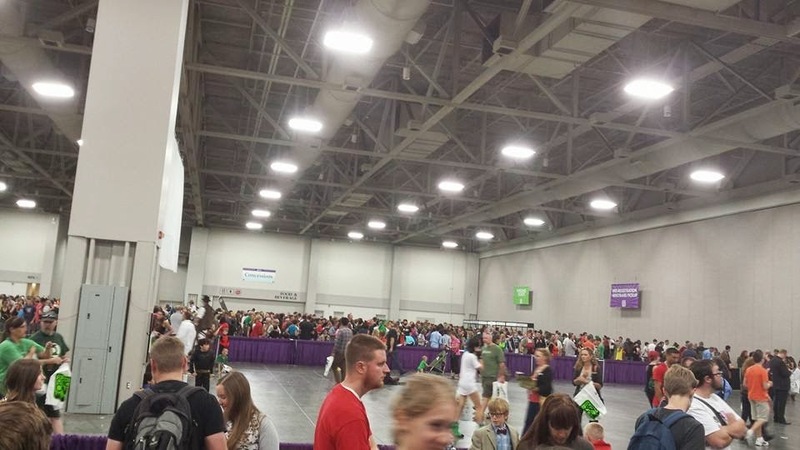 And Salt Lake Comic Con's Facebook page was inundated with comments from both attenders that were frustrated with the long registration lines and those who had pre-registered and were erroneously told by volunteers to wait in the registration line (when they could have walked right into the convention). My second frustration was with the Gold Pass. I bought my ticket for Comic Con back in June. At the time there was a special for the newly created Gold Pass, which offered a few of the perks of the VIP pass without costing as much. As it worked out, the only thing I ended up getting or being able to use with my Gold Pass was a fancy badge that read “GOLD” and a lanyard to wear it. In theory, I was able to enter the Expo Hall an hour early, like those with VIP Passes. As I had work and other commitments that kept me from going early all three days, that did me no good (and would have been irrelevant Thursday, with the wait in the registration line). A Comic Con t-shirt was also included with my Gold Pass Registration, but required waiting in another line. That was the last thing I wanted to do after waiting nearly four hours in line to get in, and by the time I felt like attempting the line for t-shirts the next day, there were none left. I also got a $20 voucher for a photo op with a celebrity and two $5 vouchers for autographs. By the time I had gathered some cash for the photo op (for which they did not take cards), any of the celebrities that I was considering pictures with and could afford were sold out. I also found that many of the celebrities doing autographs (including the one I did get an autograph from) did not accept the vouchers. So I spent extra money for a Gold Pass, and all I have to show for it is a shiny plastic badge. Unless I am absolutely certain I will be able to get to the Expo Hall early all three days, get my t-shirt in a timely manner, and use the vouchers to get autographs and photos with the celebrities I want, I will not be wasting my money on a Gold Pass again. 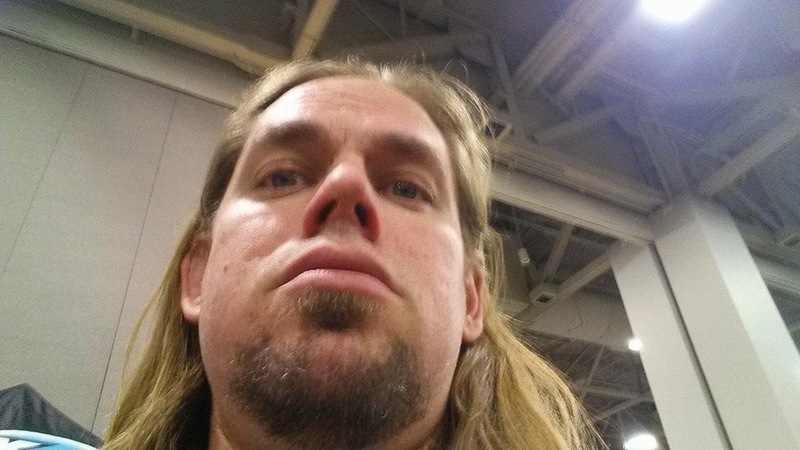 This post was obviously a critique of things at Comic Con that I would like to see improved. I'm looking forward to sharing all the great experiences I did have at Comic Con in my next post.